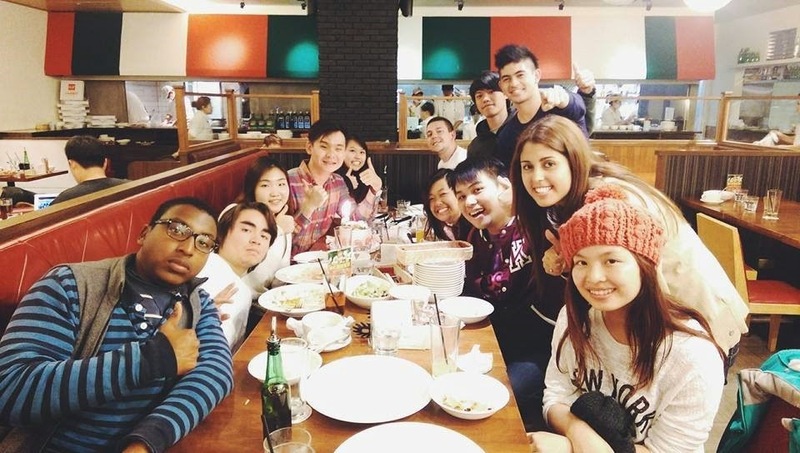 AIESEC is a student society which specialises in arranging overseas volunteering programs. There are programs in almost every continent, and my program was in Taiwan. 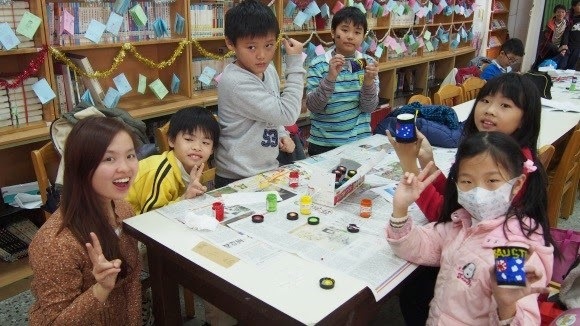 It was an education project in Hsinchu called, ‘Bridge the Gap’. 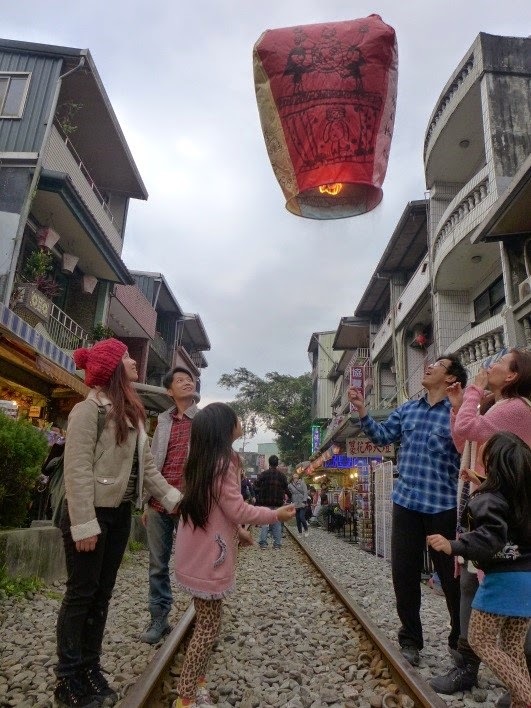 Taiwan has always been a country that I have wanted to visit, and I have always felt that the best way to get to know a foreign country is to live the local life. Furthermore, I wanted to spend the three months of my summer holidays doing something meaningful and memorable. So I applied, and I couldn’t have given myself a better 21st present. 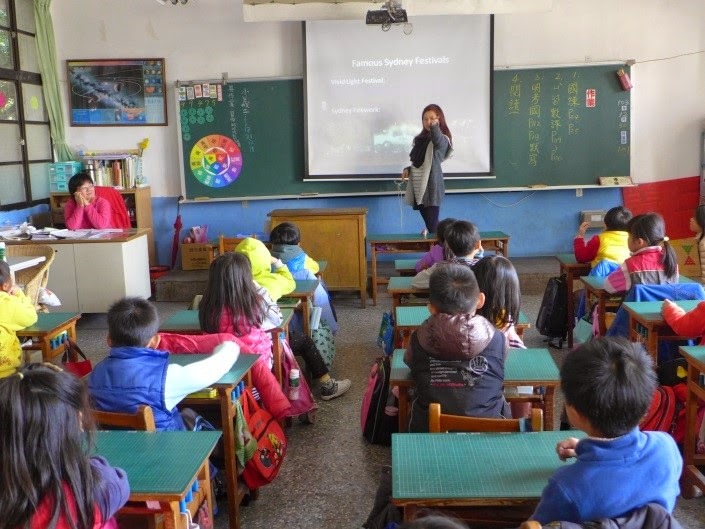 Like many people, when I heard about the volunteering opportunity with an education program, I thought I would be teaching a small class at a rural school in the mountains with only fundamental supplies and furniture. I was wrong. Instead, I taught at a public elementary school which comprised of more than 1000 students. Initially, I was arranged to teach from year 3 to year 6, but later, due to the amount of positive feedback, I also taught year 1 and year 2 students. Altogether, I taught 48 classes and presented 64 lessons throughout the 6 week program. I also arranged an Australian cultural camp. I taught my students Aboriginal Art and also brought in lamingtons and vegemite for them to try. It was definitely an accomplishment which I never thought of achieving. 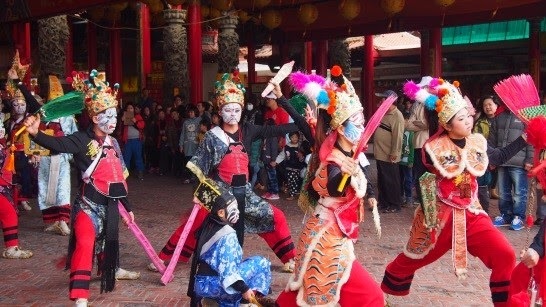 As Taiwan does not have a multicultural society, naturally, students have less exposure to different cultures around the world. It was the first time I felt privileged for living in a multicultural environment. The aim of my program was to broaden my students’ global perspective. Thus, in my lessons, I taught them about Australian culture: our food, language, landscape, etc. I even showed them what an Australian Primary School is like. I also had to assign homework to the students and their task was DIY postcard. Many of them wrote that when they grow up, they wanted to travel to Australia. Unexpectedly, I became a free ambassador for Tourism Australia. I was hosted by one of my students’ family and they definitely exhibited the hospitable nature of the Taiwanese people. However, the best thing about the AIESEC program was that I got to meet other volunteers from around the world. I made friends from Chile, Brazil, the USA, Korea, New Zealand, Vietnam, Singapore and many more places. Like me, most of my volunteer friends have never been to Taiwan. For this reason, everyone bonded very quickly and looked after each other like family. The other volunteers were in different programs, including community service, farming and other education programs. However, we planned weekend trips, dinners, and Christmas and New Year celebrations together. Often, we only actively interact with people who have a similar background or interests. However, when you are in a foreign country knowing nobody, you are forced to bond and connect with people from different backgrounds and walks of life. Making friends with people who you would usually never interact with didn’t seem so hard anymore. I managed to gain a new perspective of the world and this was definitely one of my biggest gains. In my application for this program, I wrote: ‘It is through giving that we receive’. I felt that I have definitely received a lot more than what I have given: better social and communication skills, self-management skills, independence, satisfaction and most importantly, the courage and confidence to do something that was not in my comfort zone. If in the coming holidays you fail to obtain an internship or a job, I would definitely recommend volunteering as a substitute. By being in a different environment, you will definitely discover a new perspective of yourself.